Retail Digital Signage Expo  (RDSE) Europe’s leading annual event for the retail digital signage industry, has become an official participant in London Digital Signage Week  as the exclusive industry event sponsor. The tie-up was announced at The DailyDOOH Gala Awards , held in London December 1, 2017. DailyDOOH editor-in-chief Adrian Cotterill described the agreement as an exciting move for the sector. 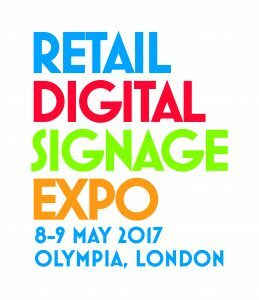 Retail Digital Signage Expo runs on May 8-9, 2017 and London Digital Signage Week takes place from May 8-12, 2017.